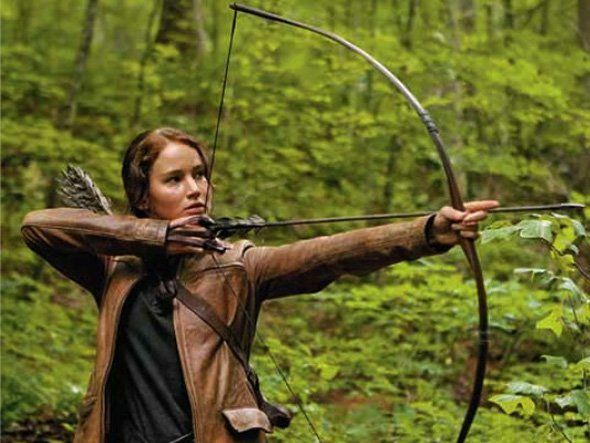 Hit the jump to see another picture of Katniss Everdeen using a bow and arrow. The Hunger Games opens March 23, 2012. Image via Business Insider via Moviehole.